I love my Son dearly, however there are times he completely winds me up and leaves me feeling completely exhausted, out of control and unable to cope. My day usually starts when my Son bounds into the room, switches on our bedroom lights, jumps on me and demands instant attention. Trips to the supermarket can be a full on battle when he wants to steer the trolley, usually into the path of other unsuspecting shoppers. More recently we have been caught completely off guard when my son has gone into complete meltdown for trivial things such as crumbling his weetabix when he wants it whole. It is at moments like this when I think there must be an easier way. I anticipated that reading the "The Family ADHD Solution" would provide some answers for explaining some of my Son's behaviour. 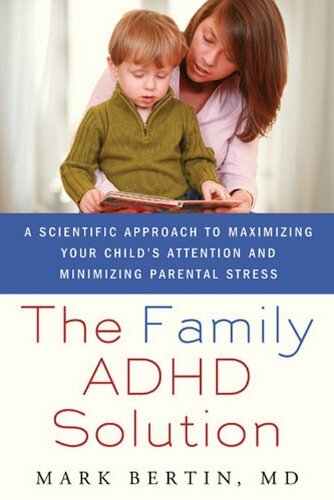 What I found was that book touched on the challenges presented by ADHD, but focused more on helping parents manage their own emotions when things get tough and to appreciate the good times without dwelling on past incidents or worrying about the future. The art of mindfulness helps to manage stress, stay in balance and objectively problem solve. This involves using frequent meditation to help focus on the present without excessive criticism or judgement. It is now been a couple of weeks since reading the book and have been trying to practice mindfulness when with the kids, to focus on the present despite everything else that is going on around us. I don't know how much is helping with reducing the overall anxiety and stress of everything we are going through, however it has been helpful in getting me to try approach things differently and to stop moving through each day on auto pilot without stopping to appreciate the good moments. Have you got an tips for helping to manage the stress and anxiety from dealing with challenging behaviour?